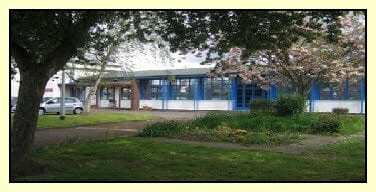 Welcome to St. Peter’s Church in Wales Primary School – this page provides information about the School, it’s aims and contact information. For further information you can download a copy of the School Prospectus which provides a comprehensive range of key information about the School including: Curriculum details, sporting achievements, end of stage results plus other useful information. St. Peter’s is a Church in Wales Voluntary Controlled Primary School, providing full-time education for both boys and girls, between 4 years (Reception) and 11 years (Year 6). It also provides a part-time Nursery for children in the September following their 3rd birthday. The present School was built in 1949. It consists of one long corridor with classrooms leading from it. There is a spacious Early Years block which consists of three classrooms, as well as a large wet area. 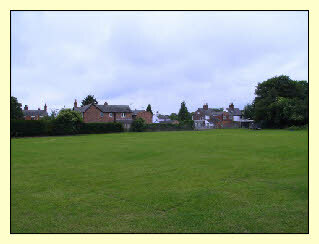 This area is utilised by the Nursery and Reception class. The rear teaching area contains four teaching bays, which are utilised as keystage 2 classrooms. All classes extend to include a wet area. The front teaching area contains 3 foundation phase and 1 key stage 2 classrooms, located along the main corridor, with shared wet areas. The school also possesses two smaller classrooms which are utilised as a Support classroom and a Computer Suite. There is a spacious hall which serves as a gym and dining area. There are eight full-time classes and a part-time nursery in the school. All children are organised into mixed ability, flexible groups, changed to suit tasks or needs of the children. Classes work mainly with their own teacher but, on occasion, some co-operative/team teaching takes place. Teachers work closely together planning and discussing work to ensure continuity and progression for all children throughout the school. English is the medium of instruction and in accordance with the National Curriculum, Welsh is also taught. Bilingual communication is encouraged. A school where children enjoy success through well planned activities which cater for the individual needs of the children. A school which provides a broad and balanced curriculum for each child’s physical, intellectual, emotional, social and moral well being. Although great emphasis is laid upon the basic skills and knowledge involved in Language (speaking and listening, reading and writing), Mathematics, Science and Information Communication Technology. We feel it is equally important to give the children the opportunity to use their knowledge and skills in a variety of situations. A school which helps children relate well with their peer group, family and community. Also, we hope to encourage our children to respect the world around them and their wider environment. A school which will work together with the home, both working towards the same end for the good of the children. A school which aims to serve the community by providing an education of the highest quality within the context of Christian belief and practice. We hope to encourage an understanding of the meaning and significance of faith and promote Christian values. As part of our school improvement plan we are expanding our website to include documents which may be of interest to parents.